Our saddle fitter Robert Sampson, otherwise known as “Sammy” usually travels to your location with a large selection of saddles, to try for your chosen discipline. Alternatively, on-site saddle fitting is also available at Parklands with ample parking for trailer or lorry. There is also the opportunity to try riding in the saddles before purchasing with use of the facilities. 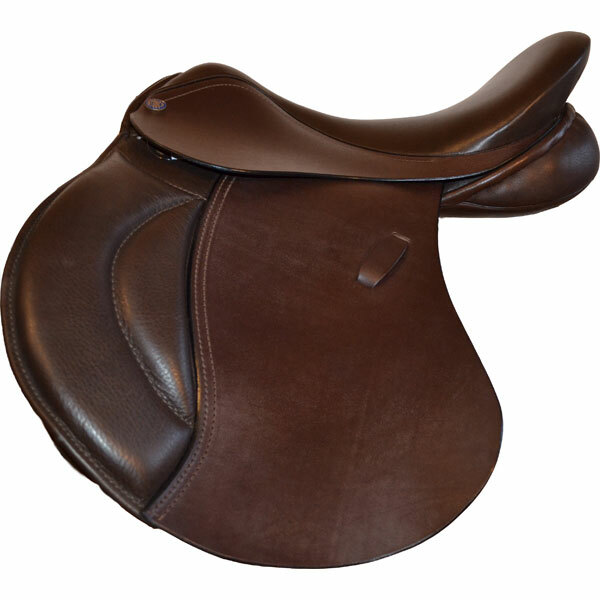 There is a great selection of used saddles available alongside new. For those awkward shaped horse’s most styles can be made to measure. We manufacture our own range of saddles, designed for both horse and rider comfort. Intouch saddles come in a range of styles. To suit all equestrian spheres including showing, working hunter, endurance and leisure. Catering from extra narrow to extra wide fit. Below are just a few examples of our range of saddles. The Intouch Ultimate event and show jumping saddle is suitable for both beginners and the more experienced rider. The saddle is built from the top quality English grained leather. The moulded knee blocks are shaped to provide perfect support for the rider’s legs both during flat work or whilst jumping. Feature stitching on the saddle flap creating a unique style; soft comfort panels aiding a perfect fit with a gusset front. The soft seat is medium to shallow with square cantle. Colour: Black and Brown standard or to customers own spec. The Intouch Pony Supreme, jumping saddle is designed with superior quality English grained leather, with stylish featured stitching. The knee and thigh blocks provide comfort and support while making it easier to maintain the correct riding position. Angled stirrup brackets help to place the leg into the correct position, and strategically placed girth straps, which give excellent balance and security. 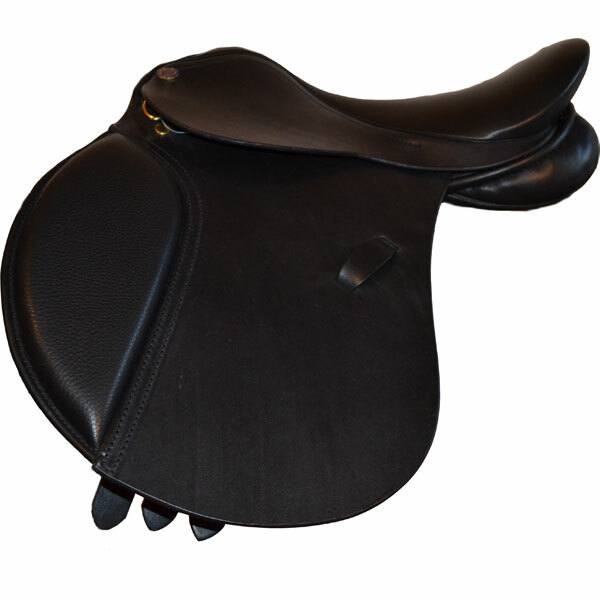 This saddle also provides a comfort seat with narrow twist. 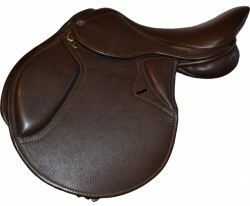 The Intouch Mooreland is a fabulous general-purpose saddle for both experienced riders and beginners. Full soft panelling and cushioned kneepad provides a better grip for the rider’s position. Fine quality, English smooth leather is used to make creates the flaps and seat. It has a round cantle with piping on the back. Made in all width so an easy to fit saddle; suitable for highland and cob type horses. 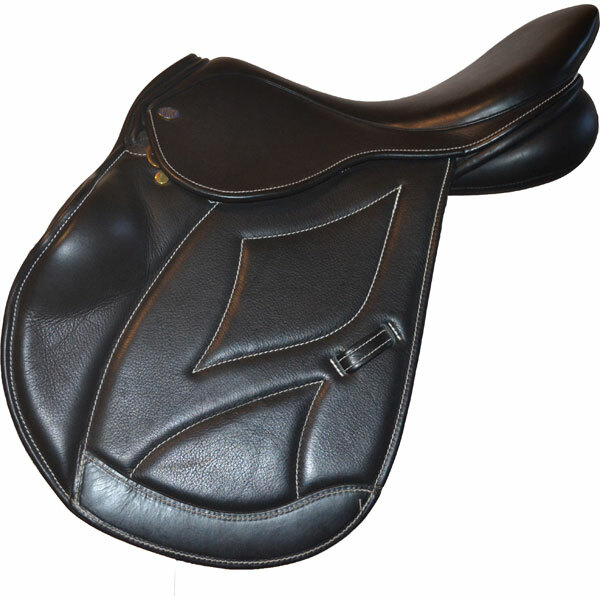 The Intouch pony GP is a versatile general-purpose saddle, produced in high quality English leather. It has a gusset front with soft wide panels; rounded piped cantle, with a soft comfort seat. High density foam filled kneepads provides comfort and support while making it easier to maintain the correct riding position. Its stuffed panels adapt well to different pony confirmations. Here are just a few examples from our range. Anything is possible with bespoke leathers available to make the saddle of your choice.